​Besides sunlight, heat, humidity and other factors, paintings face deterioration over time because of bacteria. A group of Italian researchers now says that old paintings can be better preserved by adding more bacteria to the mix. They discovered that some bacterial spores will fight the bad microbes that eat away at pigments. According to a new paper published in PLOS One, the researchers found that several strains of bacteria–mainly Staphylococcus and Bacillus–break down certain pigments. But adding the spores of another strain of the Bacillus bacteria–Bacillus subtilis, Bacillus pumilus, and Bacillus megaterium–helped kill the malignant microbes and fungi. 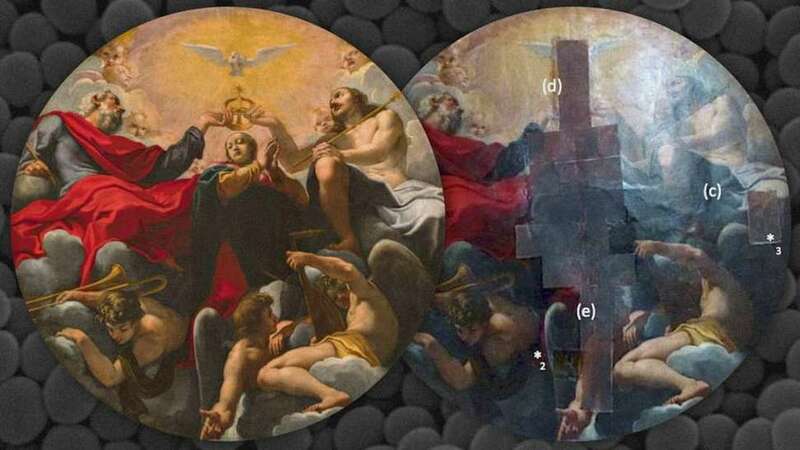 The test was successfully applied to a 17th-century painting attributed to Baroque master Carlo Bononi–the “Incoronazione della Vergine” (The Coronation of the Virgin), a huge oil on canvas that was removed from a wall after a 2012 earthquake damaged the Basilica of Santa Maria in Vado, in Ferrara, Italy. ​This fall, the Barnes Foundation in Philadelphia will present the US debut of a landmark exhibition exploring the significant yet under recognized contributions of Berthe Morisot (1841–1895), one of the founders of impressionism. The first monographic exhibition of the artist to be held in the US since 1987, Berthe Morisot: Woman Impressionist provides new insight into a defining chapter in art history and the opportunity to experience Morisot’s work in context of the Barnes’s unparalleled collection of impressionist, post-impressionist, and early modernist paintings. 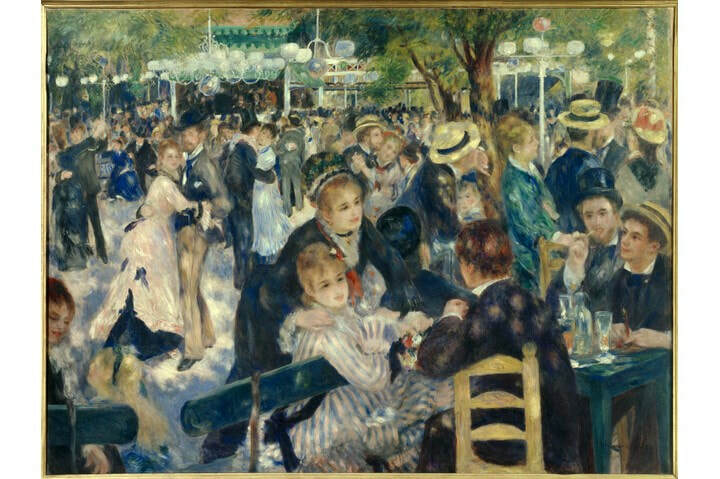 ​The internationally touring exhibition is co-organized by the Barnes Foundation, Dallas Museum of Art, Musée national des beaux-arts du Québec, and the Musées d’Orsay et de l’Orangerie, Paris. It will be on view at the Barnes from October 21, 2018, through January 14, 2019, before heading to Dallas. Berthe Morisot, In England (Eugène Manet on the Isle of Wight) (1875).Courtesy of the Musée Marmottan-Claude Monet, Fondation Denis et Annie Rouart, Photo by Erich Lessing/Art Resource, NY. 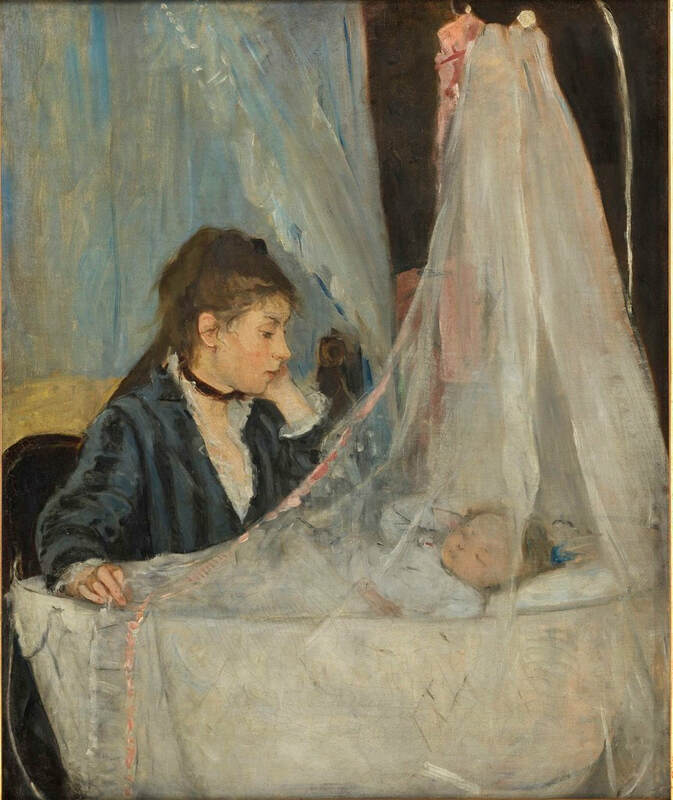 Berthe Morisot, The Cradle (1872).Courtesy of Musée d’Orsay, Paris. ©Musée d’Orsay, Dist. RMN-Grand Palais Patrice Schmidt. Painting the Figure en plein air – A selection of Morisot’s plein air paintings of figures in both country and coastal settings highlights her innovative treatment of modern themes and immersive approach that integrates her subjects within their environments through brushwork and palette. 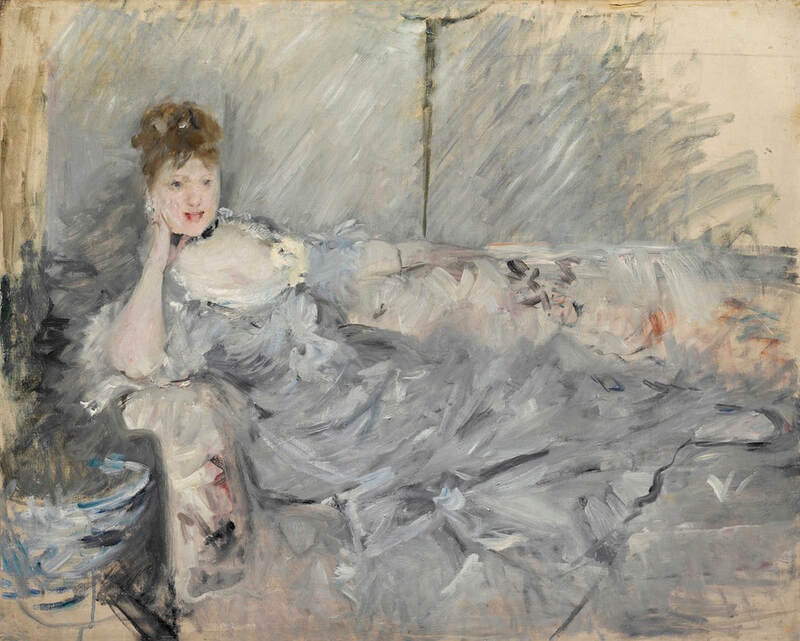 Finished/Unfinished – The increasing immediacy of Morisot’s technique, and her radical experimentation with the concept of finished and unfinished in her work, exposes the process of painting and furthers the indeterminacy between figure and setting introduced in her plein air work. 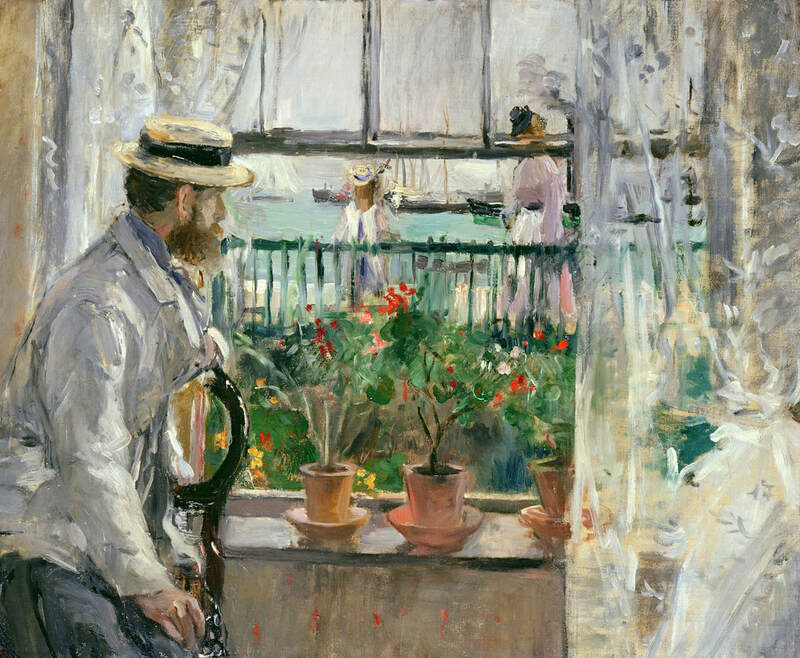 Berthe Morisot: Woman Impressionist is organized by the Barnes Foundation, Dallas Museum of Art, Musée national des beaux-arts du Québec, and the Musées d’Orsay et de l’Orangerie, Paris. 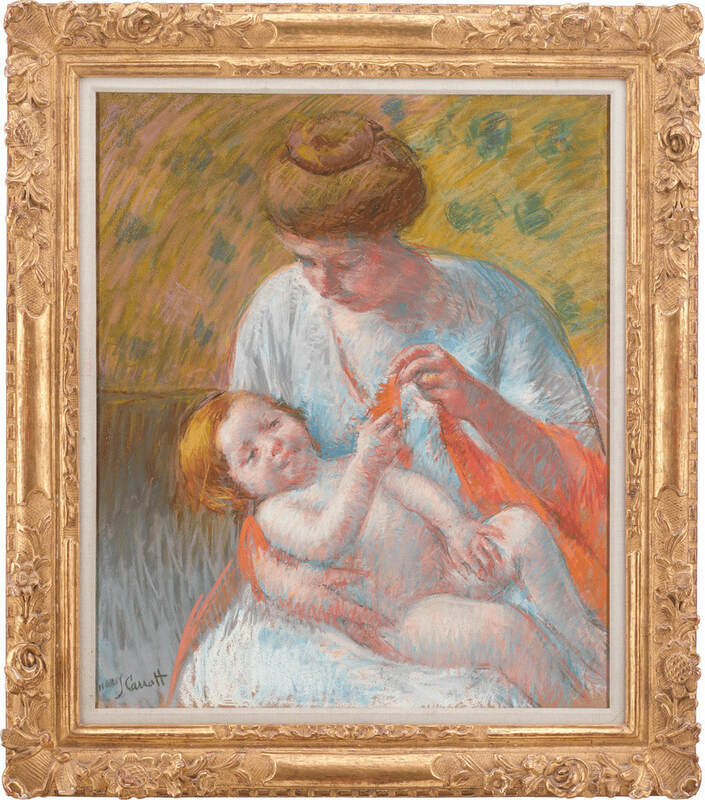 The exhibition is co-curated by Sylvie Patry, Consulting Curator at the Barnes Foundation and Chief Curator/Deputy Director for Curatorial Affairs and Collections at the Musée d’Orsay, Paris, and Nicole R. Myers, The Lillian and James H. Clark Curator of European Painting and Sculpture at the Dallas Museum of Art. “If a tree falls in a forest and no one is around to hear it, does it make a sound?” We’ve all heard the philosophical riddle that makes us question our understanding of perception. If we are not present does something still happen? In the case of a work of art, your presence is paramount, because an artwork needs you more than you might realise. In his seminal work Art and Illusion, first published in 1960, art historian Ernst Gombrich wrote about “the beholder’s share”. It was Gombrich’s belief that a viewer “completed” the artwork, that part of an artwork’s meaning came from the person viewing it. He wasn’t concerned with the artists and what their intentions were; he was interested in what we, the viewers, brought to an artwork. What we project onto an artwork depends on our backgrounds – our upbringing and education, the experiences we’ve had, how we process information, how we look at the world. The meaning we give an image is filtered through all the years of life we’ve lived. Historians, and those with an interest in history, are always keen to explore new periods and broaden their historical knowledge and understanding – but are often put off by images. Despite so many shared features, the ‘history of art’ is always slightly separated from ‘history’. When I was an undergraduate at the University of Cambridge, for example, the history of art department shared a faculty with architecture rather than history.But there are many reasons why historians should welcome history of art into the fold and notbe fearful of images. This fear, or ambivalence, oftenstems from a lack of understanding about what to do in front of a work of art – and it is perfectly understandable. Visual literacy is not encouraged at school and most people interested in general history would be flummoxed by the idea of undertaking a visual analysis of an artwork. And yet, a formal analysis – spending time in front of an artwork, looking closely at the image – is one of the basic elements of art history. The good news for those who want to understand artworks a little better is that it is both deeply rewarding and easy to do. Let’s imagine we’re looking at a painting on a canvas. Firstly, focus on the lines– look at what sort of marks have been made on the picture surface and try and describe them. Is the line thick, bold, expressive or dotted, etc? What emotions or moods do these lines and marks suggest to you? Are the lines horizontal or vertical and what is the effect of these lines? Are some lines more noticeable than others? Do they dominate the image? For what purpose? Are the shapes in the painting outlined? What is the effect? 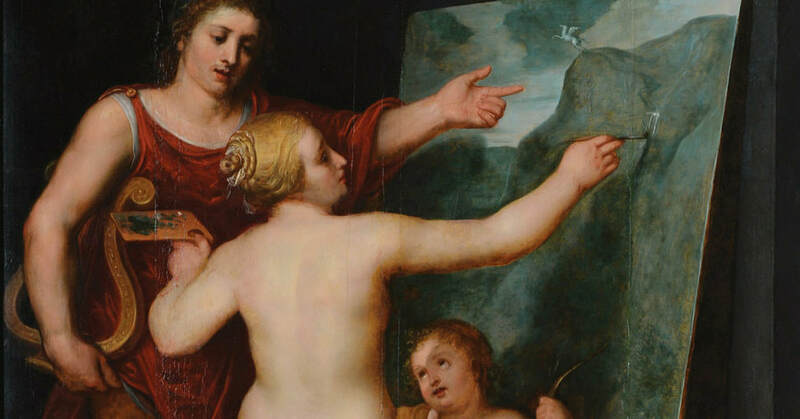 Can you see under-drawing or any other marks underneath the painting? Has there been an attempt to disguise these? Next look at colour. What colour scheme has been used? Unmixed primary colours? Secondary colours? Are the colours complementary? Monochrome? Cool or warm? Is the palette broad or muted? Do any colours dominate the canvas? Does the choice of colour make you feel anything in particular? What is the effect of the colour choices? Are the colours bold and vibrant, or pale and muted? All the time when looking at the formal qualities, ask yourself what the effect is of their appearance in the artwork. For example, if the image is in black and white monochrome, what does it remind you of? Newspapers or old photographs, perhaps? Does the absence of colour give the artwork a sense of a loss? Or does the monochrome palette shift the focus of the painting onto another element – like its form or content? Next in your visual analysis, look at the shapes and forms. Is the scheme geometric, angular or free-flowing? Are the shapes irregular, simple or complex? Are the shapes/forms repeated and what is the effect of this? How are the shapes arranged? Are they grouped together, or far apart? Are they overlapping? Do they fuse with other shapes/forms? What are the edges of the shapes and form like? Are they distinct or fuzzy? Are there any relief (3D) elements to the painting? Does the paint build up sculpturally on the canvas? Is any other material added to the canvas? What about perspective? Is there a vanishing point? Is there an illusion of the three-dimensional on the two-dimensional picture surface? This is a very brief guide to what a formal visual analysis of a painting is – there’s plenty more to look at and discuss – but I hope it gives you a way in. The main tip is to observe and describe the formal elements of the artwork generally and in detail, before analysing it in relation to any external factors. Because when we deeply observe an artwork, we see and understand so much more and this ultimately leads to achieving a greater enjoyment from looking at art. ​Having completed a formal analysis then it is time to move on to content. Simply, what are you looking at. What, or who, is being depicted, if anything. Are any scenes or figures recognisable from history, religious stories, current affairs, or pop culture? Or do they perhaps remind you of something in your own life? Can you work out the relationship of the figures to each other in the artwork? What can we tell about them from the clothes they wear, the poses they adopt or the expression on their faces? What objects, props or places are included in the artwork? Are they recognisable? Are they symbolic? Finally, what is the title of the artwork? Does it enhance your understanding? Finally, we look at context and this is where history of art and history are as one. This is the critical analysis; the point at which we explore and evaluate all the social, political, economic and cultural factors that may have had a bearing on the artwork or the artist, or were simply present at the time when the artwork was created. 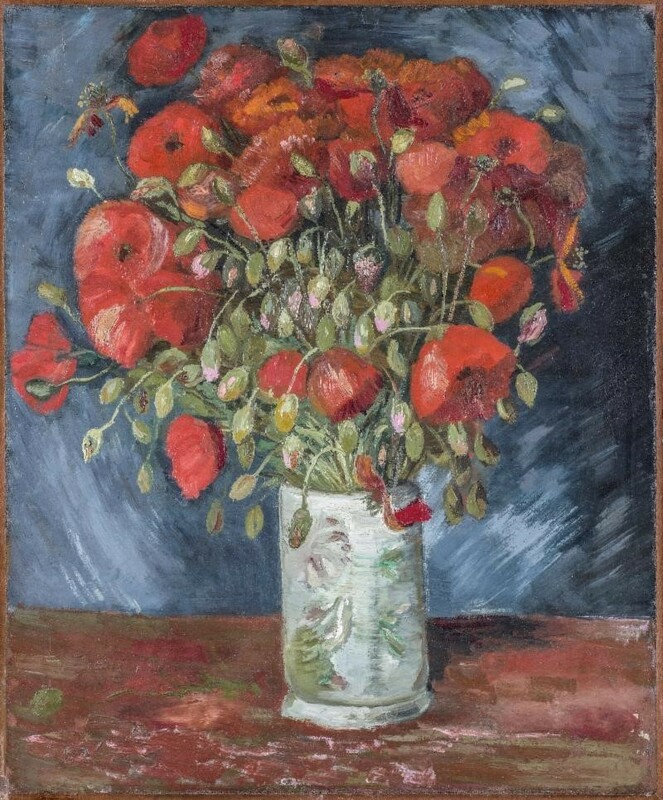 We also can look at what comparisons can be made with other artworks or artists. And this is the point to ask what was the artist’s original intention in creating the artwork and where was it originally displayed? 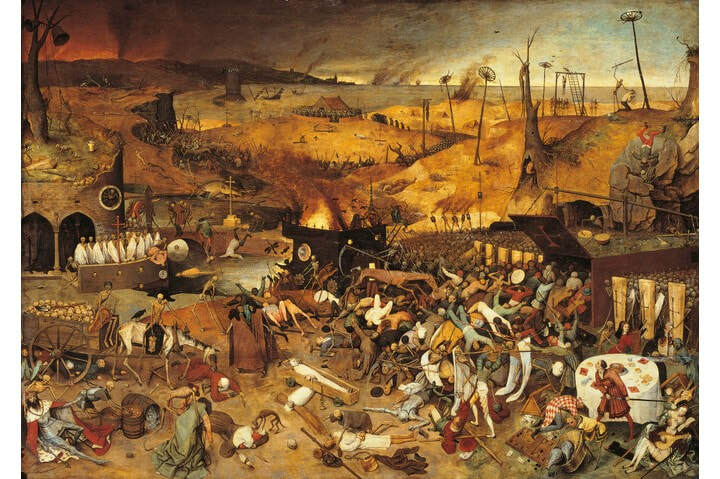 So we only look at the artist at the very end. The most important person in the whole process is you. What do youthink when you look at an artwork? You are at the centre of the visual analysis. Gombrich was quite right: it is the viewer who completes the artwork. So my advice for getting more out of art is to spend more time in front of it and to look really closely, because you are the only critic who matters. Rembrandt van Rijn, Self-Portrait Leaning on a Stone Sill, 1639. Etching, with touches of drypoint; 8.07 x 6.45 in. ​Bibliothèque nationale de France, Department of Prints and Photography. Denver Art Museum is the sole venue for Rembrandt: Painter as Printmaker, opening Sept. 16. Coinciding with the 350th anniversary of the Dutch artist’s death (1606–1669), the exhibition will offer fresh insight into the life and career of the masterful printmaker. About 100 prints from Rembrandt van Rijn’s career spanning from 1625 to 1665 will be showcased, including biblical, portrait, allegory, still life, landscape and genre artworks that demonstrate the mastery that cemented Rembrandt as one of the greatest artists in history. Rembrandt: Painter as Printmaker will take a close look at Rembrandt’s innovative approach to printmaking that combined the three principle methods of intaglio: etching, drypoint and engraving. While the exhibition focuses on Rembrandt's exploration of printmaking, 17 drawings and several paintings also will be on view to provide additional context about his creative process in all media. An exhibition catalog will be available in The Shop at the Denver Art Museum and online in the fall of 2018. 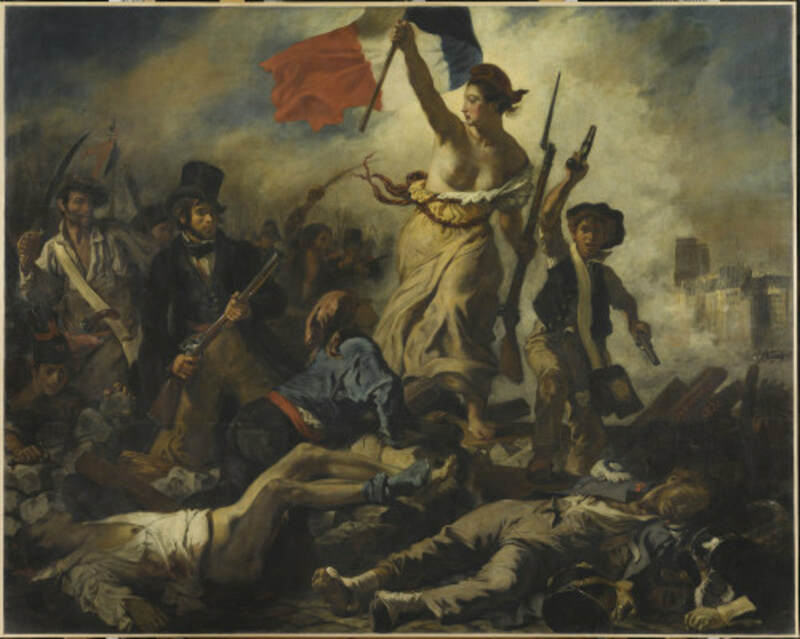 Delacroix Blockbuster Breaks Attendance Record at Louvre, Heads to the Met. A record half a million people visited the Eugène Delacroix retrospective at the Louvre, which has closed before its reopening at the Metropolitan Museum of Art in the fall. In Paris, 180 works gave a full view of the French painter’s ouevre, while slightly fewer works will be shown in New York. 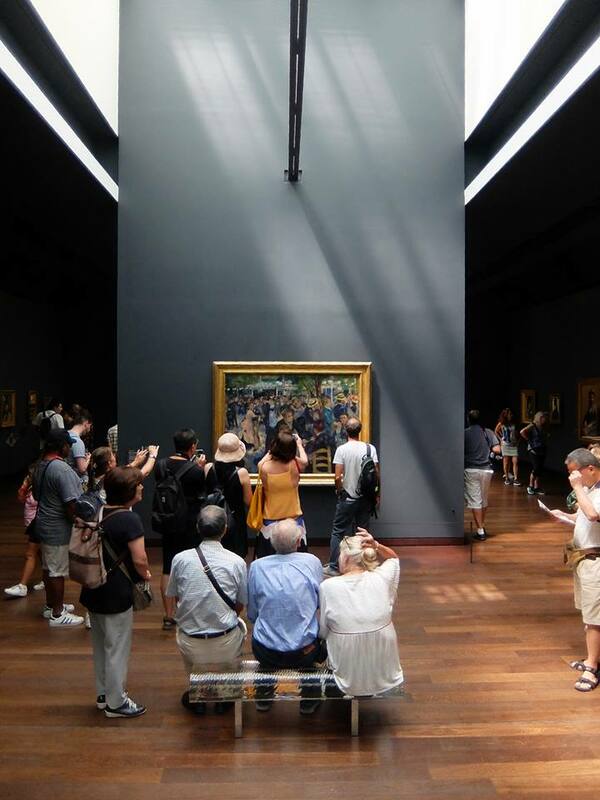 Some 540,000 visitors made this the most-visited show in Louvre history. From the end of March to July 23, the Louvre drew crowds with about 7,200 people flocking to the show per day in the past month. 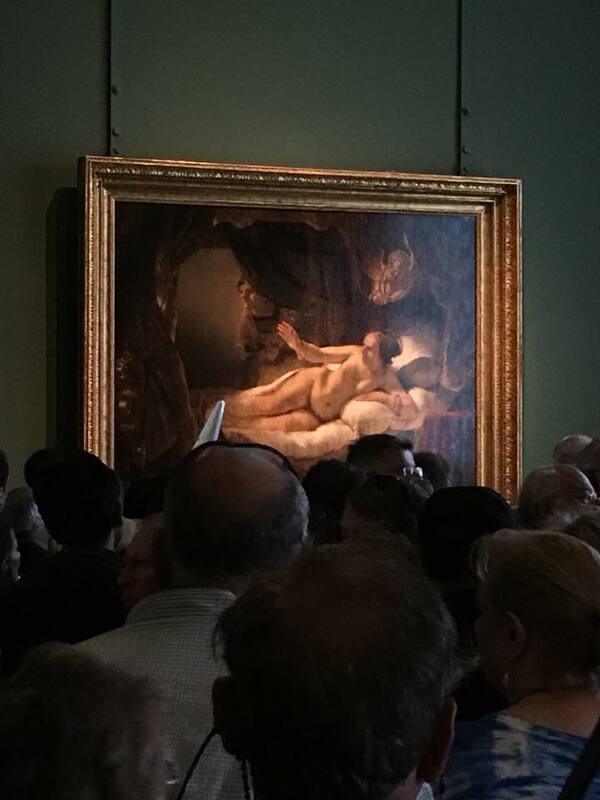 A big draw was the artist's well-known 1830 painting Liberty Leading the People, which will not travel from the Louvre collection for the New York iteration. 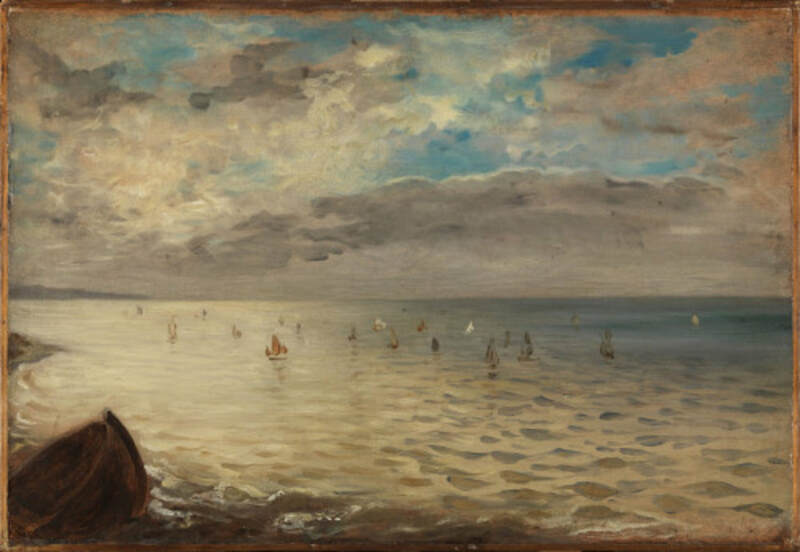 A number of other masterpieces will shown in New York, marking the first major survey of Delacroix in the U.S.
Eugène Delacroix (1798-1863) was one of the giants of French painting, but his last full retrospective exhibition in Paris dates back to 1963, the centenary year of his death. From the young artist’s big hits at the Salons of the 1820s to his final, lesser-known, and mysterious religious paintings and landscapes, the exhibition showcases the tension that characterizes the art of Delacroix, who strove for individuality while aspiring to follow in the footsteps of the Flemish and Venetian masters of the 16th and 17th centuries. The exhibition aims to answer the questions raised by Delacroix’s long, prolific, and multifaceted career while introducing visitors to an engaging character: a virtuoso writer, painter, and illustrator who was curious, critical, and cultivated, infatuated with fame and devoted to his work. Delacroix is on view from Sept. 17 to Jan. 9, 2019, at the Metropolitan Museum of Art.